Immerse yourself in the Hunter Valley way of life and unearth the tastes, sights and stories of the beautiful wine soaked haven at one of Sydney’s great icons, Balmoral Beach. 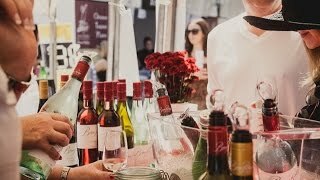 Meander through the myriad of stalls and sample gourmet delights, or just sit back in the sunshine and enjoy the live music amongst an exquisite fusion of wine, food and good company. Hunter Valley's finest drops will be in circulation with local restaurants and producers serving up their mouth watering bites. Entry to the festival is free with wine tasting packages available.